If you are reading this post, let me warn you about something — the person writing it has a fear of heights. 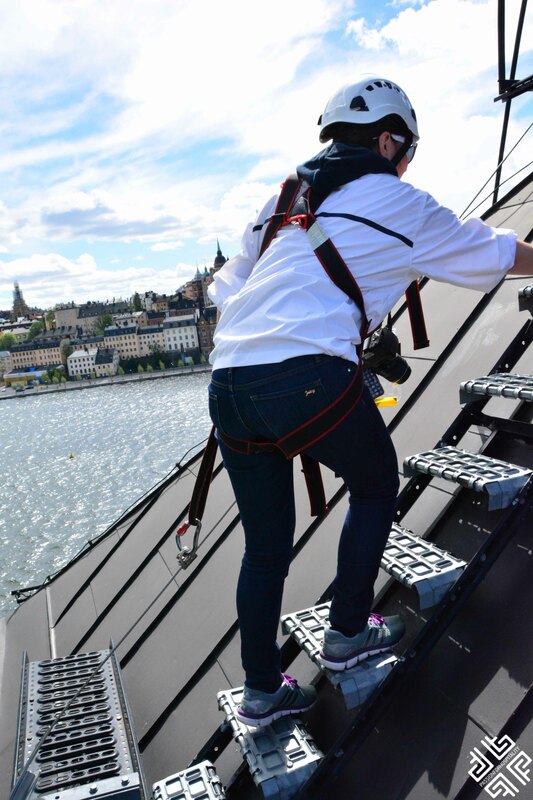 When my friend and fellow travel blogger Marissa of Travel Greece, Travel Europe signed us up on the tour of rooftop hiking in Stockholm, she knew my ultimate challenge — I am terrified of heights. The good news is that, since I am sharing this story with you today, I made it and no, I didn’t fall off any rooftop. It is completely safe and I definitely recommend it as it has been one of the most exhilarating experiences in my life. 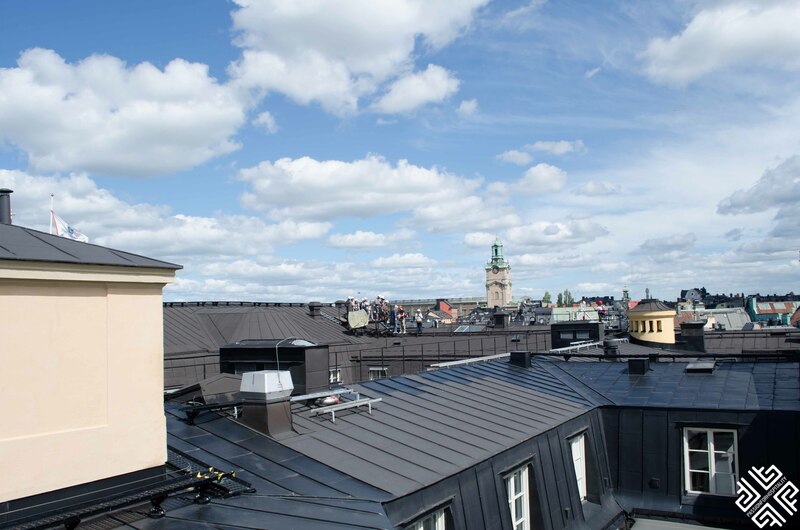 I am proud to say that I have walked the rooftops of Stockholm. 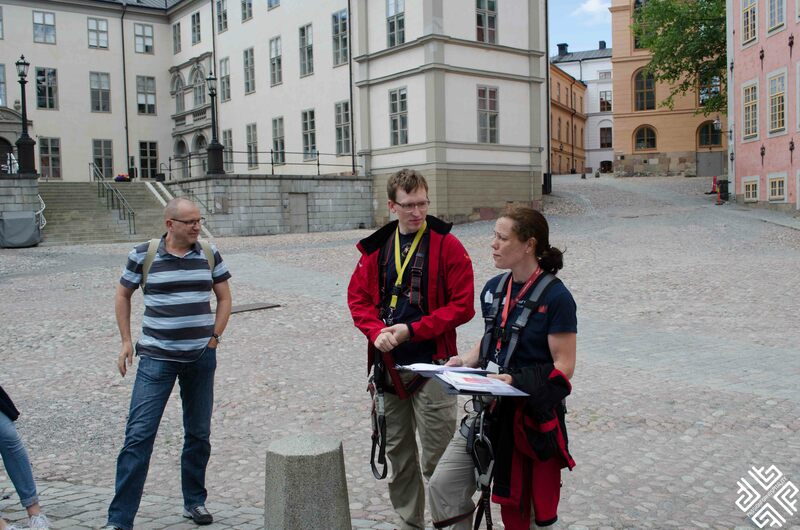 Our meeting point was the island of Riddarholmen (island of Nobility), right next to the statue of Birger Jarl. 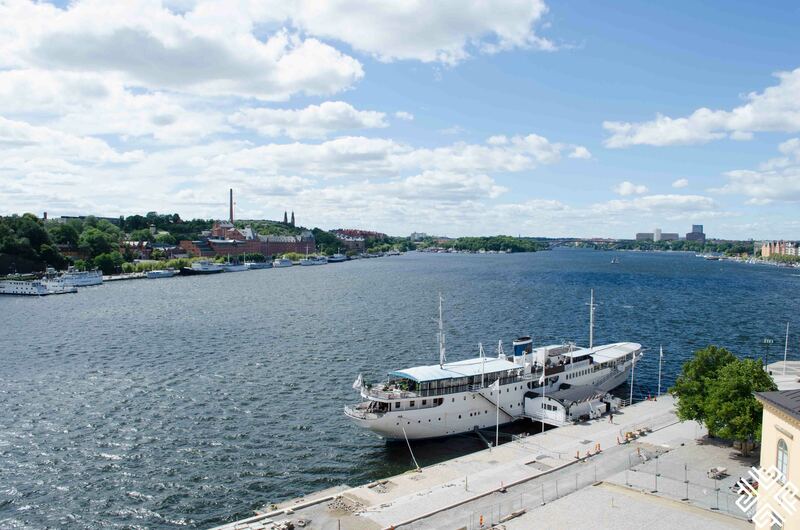 It is a small islet located right in the heart of Stockholm, which forms part of the Gamla Stan — the Old Town of Stockholm. The island is used mainly for offices. Aron and Eva giving us instructions on what to expect! 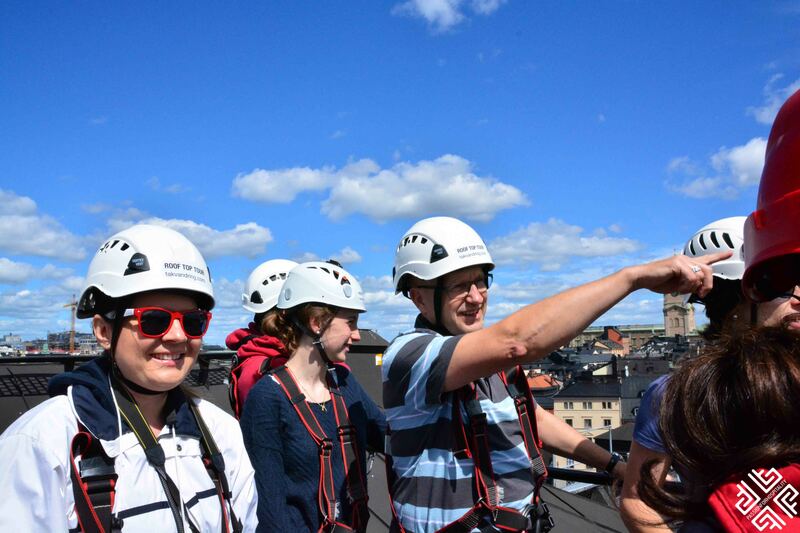 We were welcomed by our guides Aron and Eva from Takvandring Tours who explained that we would go up to the rooftop of the Old Parliament Building. It was Sunday and everything was closed. 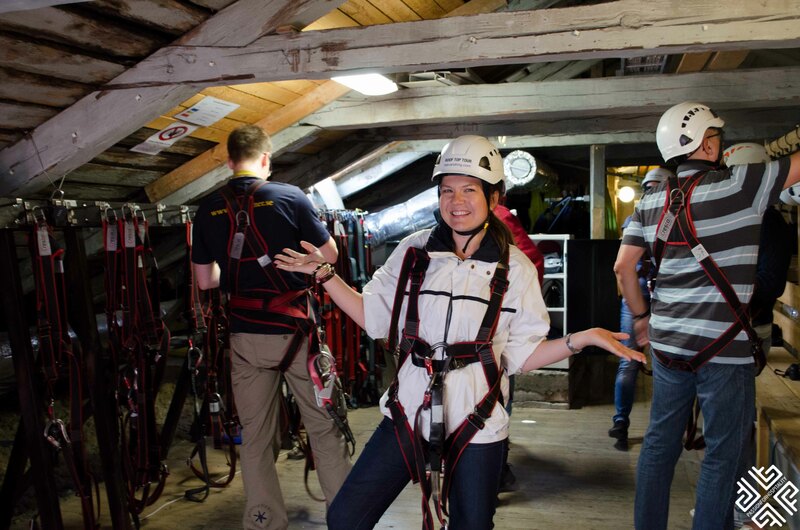 We headed up to the attic where we were geared up in harnesses and helmets. We also received a plastic case to put in our phones. For safety reasons selfie stick are not allowed. 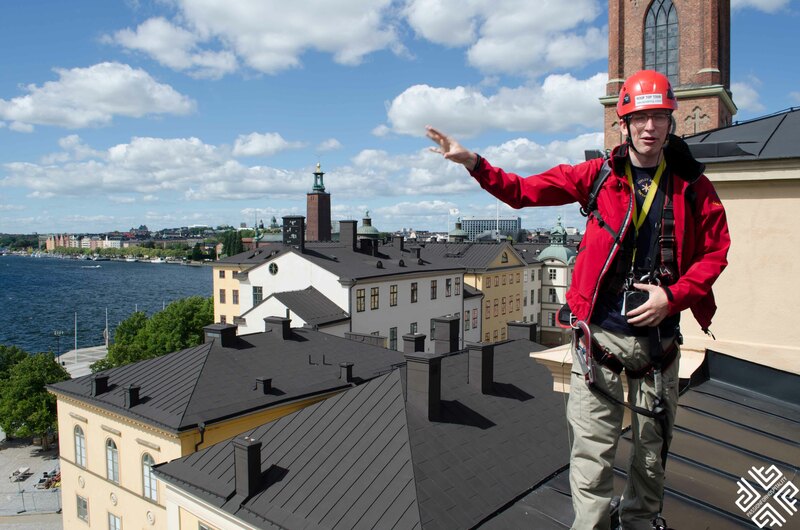 Aron spoke about the notable buildings found on the isle of Riddarholmen. 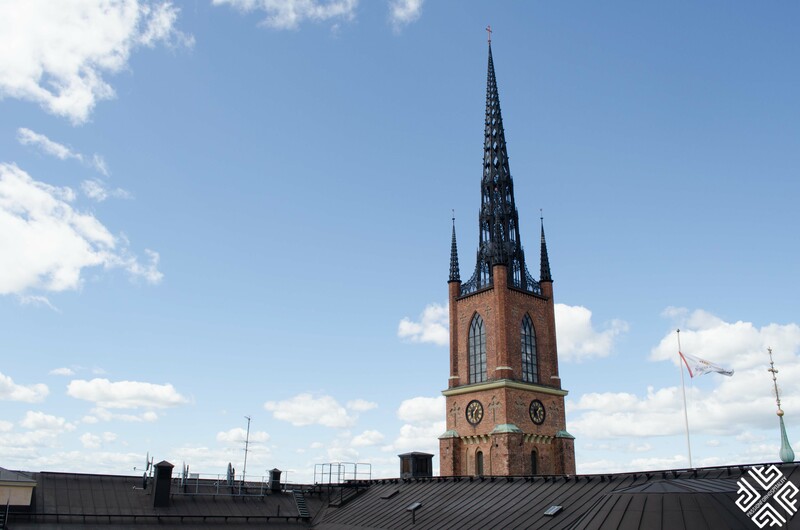 The main landmark here is the Riddarholmskyrkan church, which was used as Sweden’s royal burial church from the 17th century to 1950. 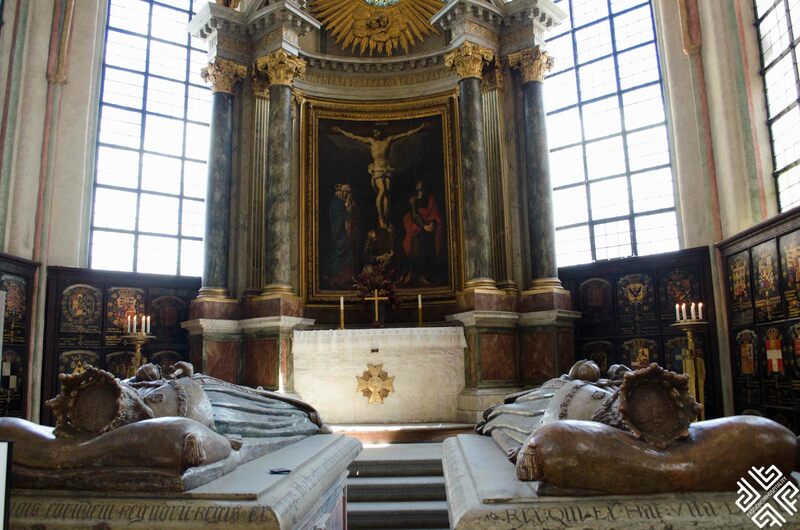 It is here that a number of earlier Swedish monarchs are buried. 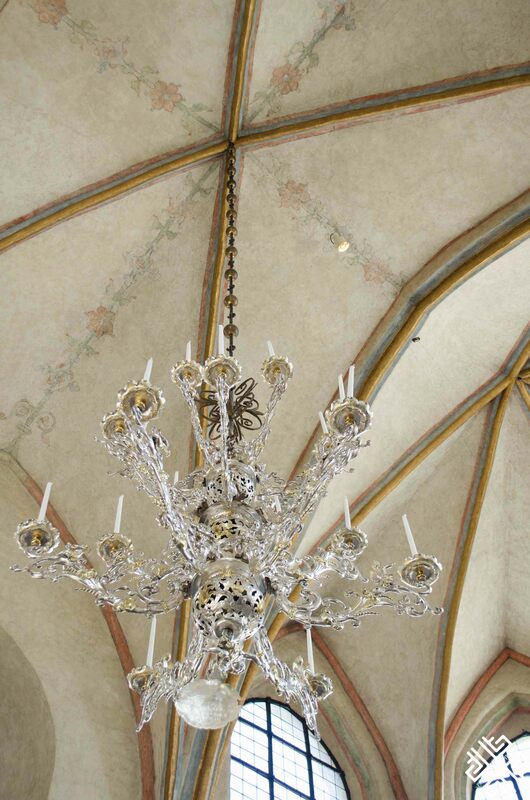 Marissa and I visited the church prior to our rooftop hiking experience. 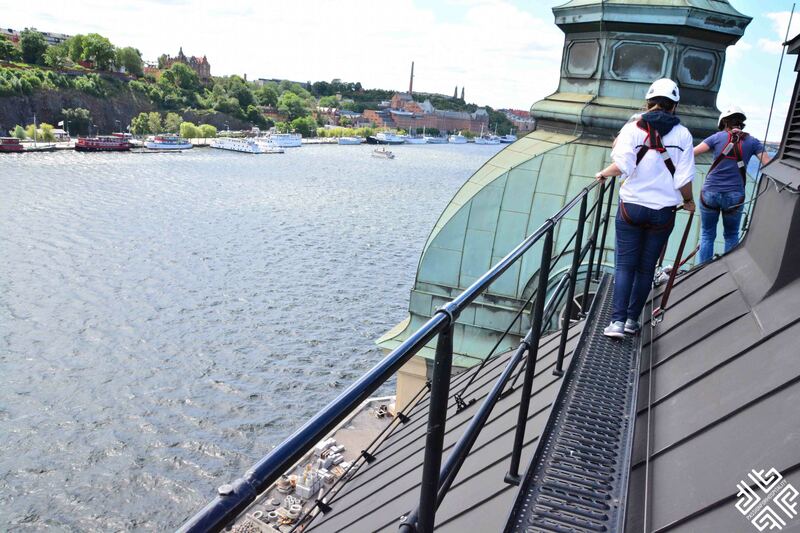 I must admit as I stood there 43 meters above the streets of Stockholm, I was a bit nervous about “being so brave”. 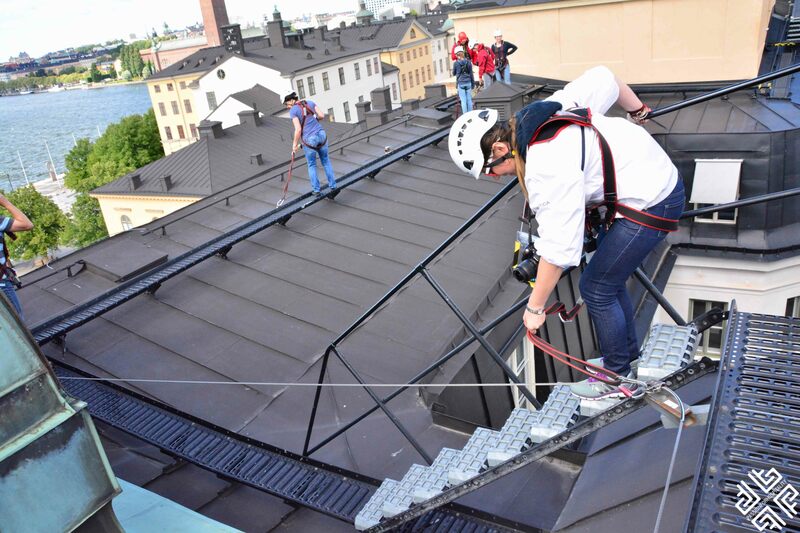 We were hooked to a thin metal rail with something that our guides referred to as “a dog on a leash” that would lead us along the steel pathways which are found on the rooftops. The “leash” would sometimes come to a turn, where we had to use our hand or foot to help it slide to the next level. The tour lasts approximately one hour and fifteen minutes, so you get to walk the whole block. There was some step climbing involved. Yes, I can do this! Thanks to Marissa for taking the photos! 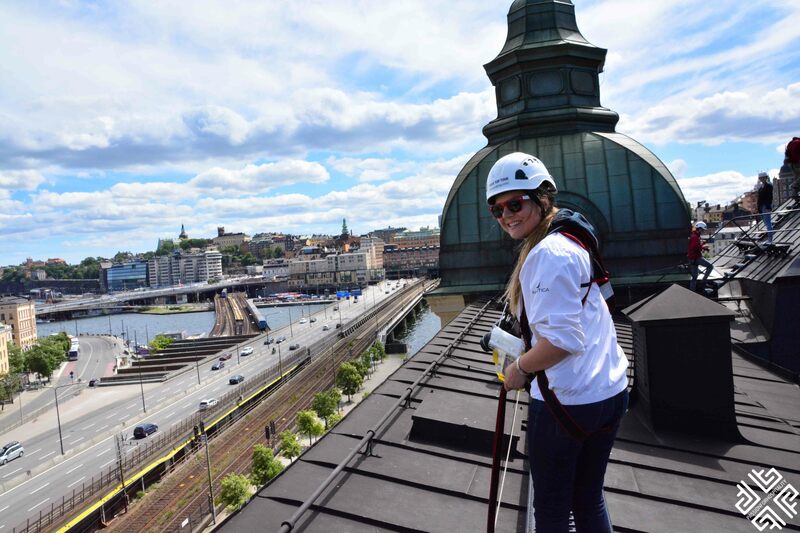 It was quite windy on the day which did make it a little bit more challenging but I guess experiences like rooftop hiking in Stockholm build character. 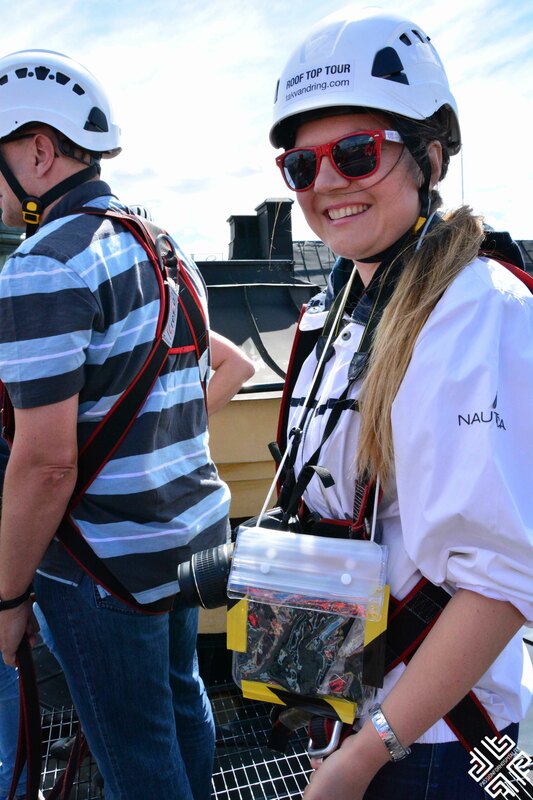 I honestly feel proud of standing up to my fears of heights, it was an amazing experience and I definitely recommend it to anyone who is looking for adventure and a bird’s eye view of Stockholm. Thank you Takvandring Tours for this once in a lifetime experience! 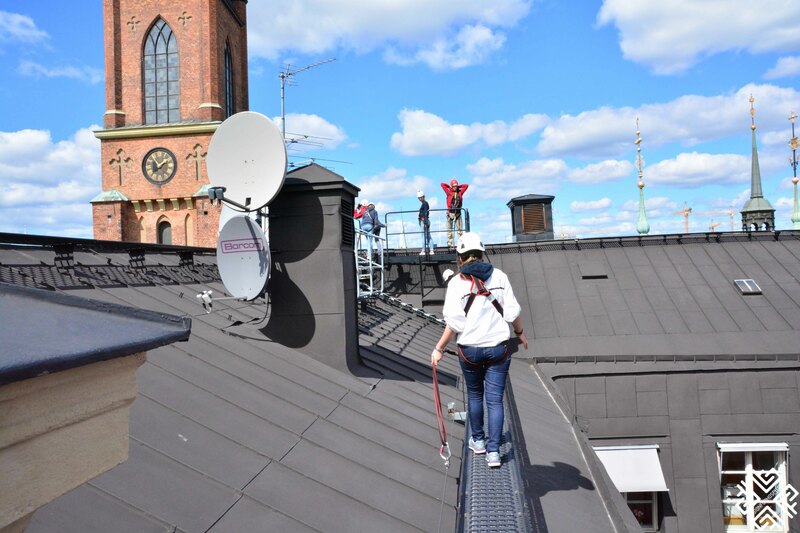 Have you been rooftop hiking in Stockholm? 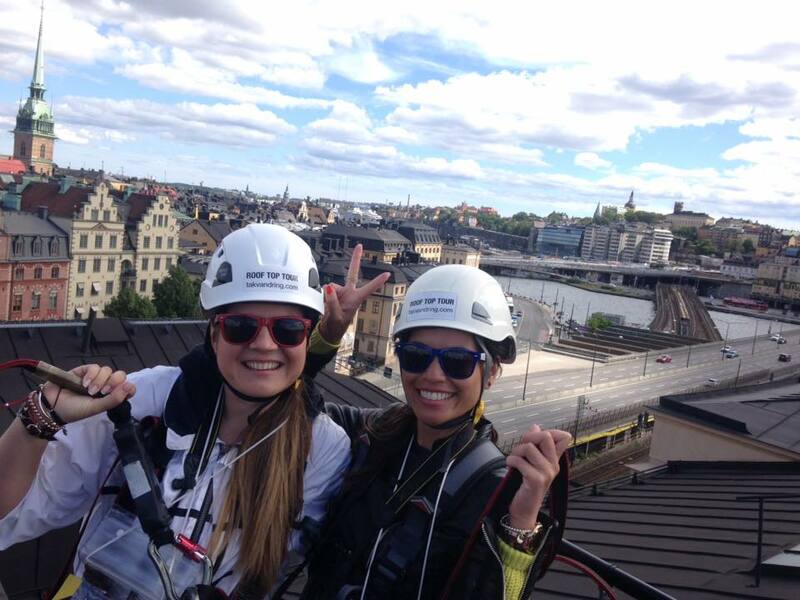 If you are ever in Stockholm and looking for something adventurous, make sure to try it out! Great post, p! You did great. I was behind you all the way and you were a pro. 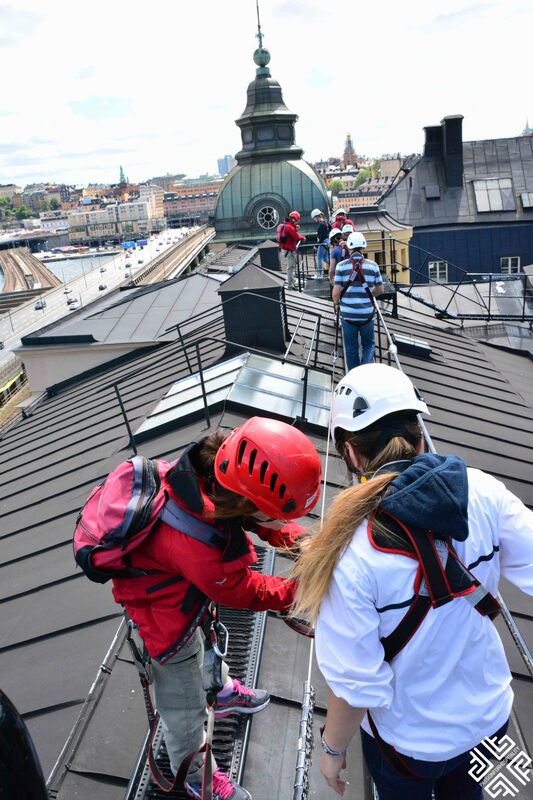 One of the most fun things we did in Stockholm, for sure. Thanks p, you made it happen and I am glad that I did it and didn’t chicken out in the end!